I go to the University of Hawaii. 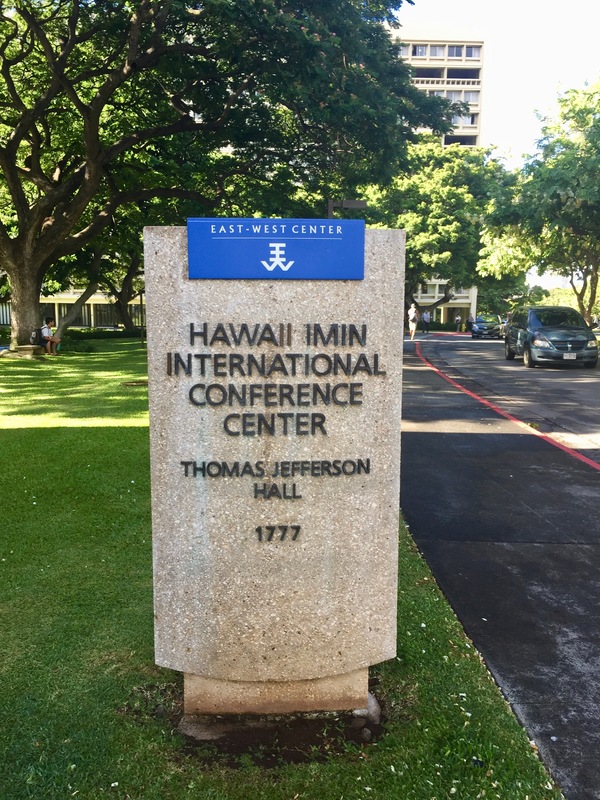 The event is at the conference center called the 1 min conference center. I take this as a very good omen. The conference starts with a dancing lion. 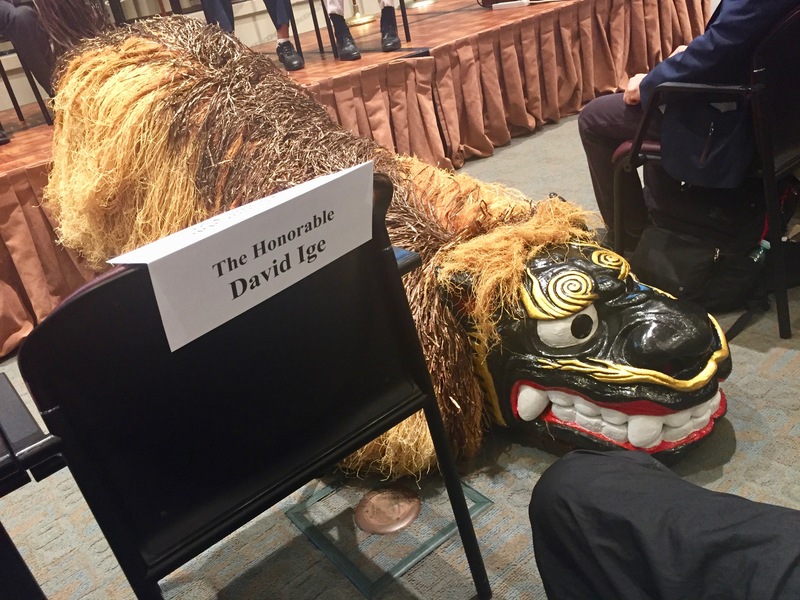 This a Lion, not Governor Ige. The Governor, whose family came from Okinawa, is on stage. It is not a real Lion. This is the first time I have given a talk wearing extravagant colored necklaces called Lei. It makes me extraordinarily happy. A selfie break when I forget what I am talking about. 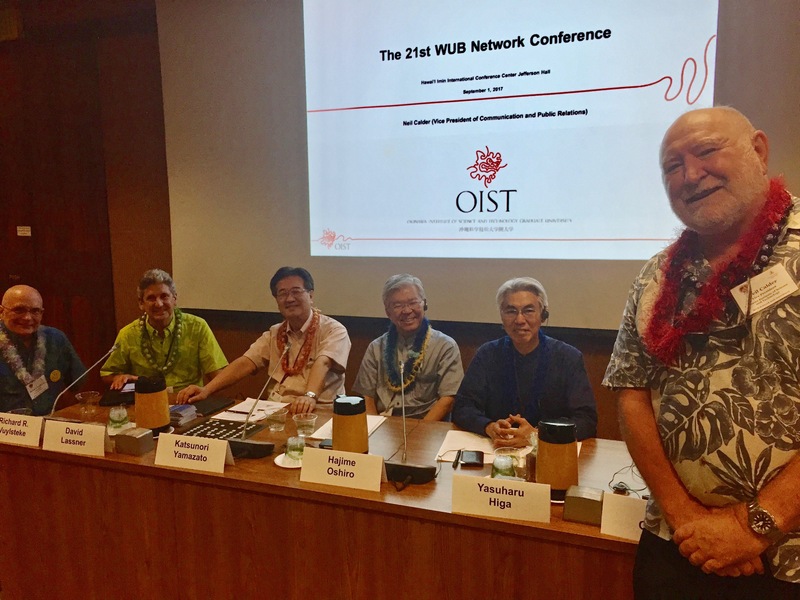 Presidents of the: East West Center, where Obama’s Mummy met his Daddy, University of Hawaii, Meio University, University of the Ryukyus, Prefectural University of the Arts. What fun!